My bows are simple and sweet! 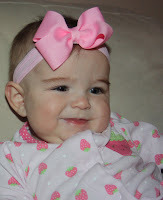 Bows are affixed with velcro on the back for easy switching on our headbands or beanies. 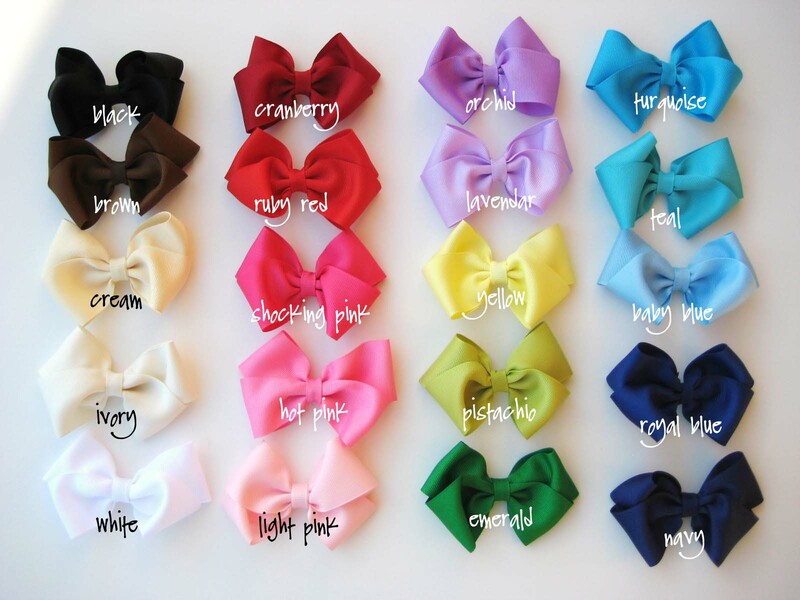 Bows can also made on a coordinating alligator clip with no-slip grip, on a small snap clip, on a 2 inch french clip, or attached to a coordinating stretchy headband. Ribbon ends are heat sealed to prevent fraying. NEW! Velcro-to-clip adapters! Use the same bow from infants to girls! 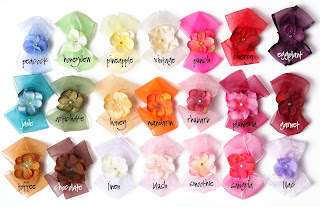 Sheer organdy or chiffon ribbon with flowers and a clear gem center. Each bow measures about 4 inches across. These bows are made from grosgrain ribbon. Sweet bows measure about 2 1/2 inches across - perfect for piggy tails! 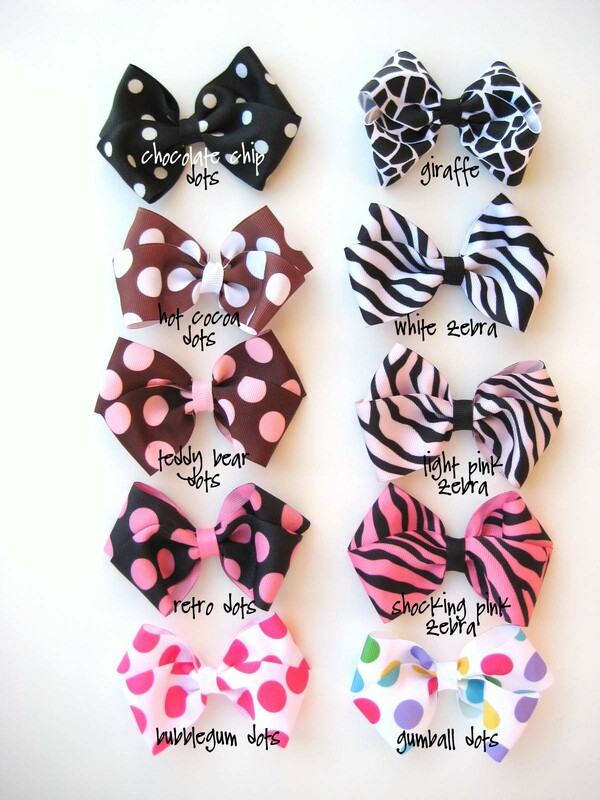 Sweet bows are available on ribbon-covered alligator clips. Sassy bows measure about 4 inches across, and are great for toddlers with longer hair, or are adorable on a headband for infants. 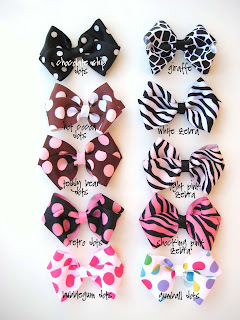 Sassy bows are available on ribbon covered alligator clips, snap clips, or on a coordinating headband.